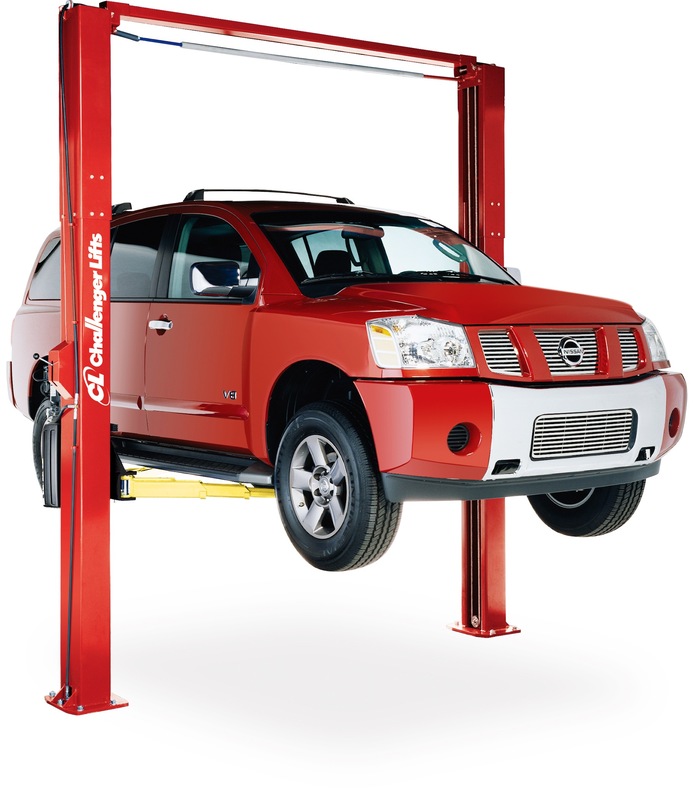 The two post car lift is a standard piece of equipment that you’ll find in almost any automobile repair shop. It gives mechanics some much needed work room and clearance, making an otherwise challenging automotive repair into a simple task. The two post car lift is manufactured and modeled to give the dynamic flexibility much needed for automotive workmanship. The two posts allows the needed work room and clearance during complete machine repairs and automotive procedures. Everyday vehicle repair work or maintenance can be made much easier because this type of lift allows the comfortable space for jobs such as the installation of wiring systems and exhaust systems. Oil changes will also be much easier with this equipment in your shop. One high-quality operating lift such as the Bendpak XPR-10 is one of the best models in this category. Choosing the right two car lift for your garage is important to ensure that the repair work and projects you do are done safely and efficiently. At JMC Automotive Equipment, we only supply high quality equipment sourced from leaders and trusted suppliers in the industry. We’re the name to trust when it comes to affordable and high quality equipment that meets the industry’s stringent standards. Our range of equipment includes Titan 2 Post Lifts, Challenger 2 Post Lifts, as well as BendPak 2 Post Lift Installations. When you hire equipment from us, you’ll have the peace of mind knowing that you’ll be able to perform machine repair and automotive procedures safely and efficiently. Looking for a Challenger Two Post Lift to complete your garage, or do you require BendPak 2 Post Lift Installations for your machine repair services? Whatever you need, we have it. Make sure to check the rest of our website for our comprehensive inventory list of two post lifts.